We’re ideally placed to discover the heartland of Scotland’s famous single malt whiskies. Speyside is home to more than half of Scotland’s working distilleries and boasts the world’s only malt whisky trail. Start off at Elgin’s own Glen Moray distillery, then wind your way through some of the Highlands’ most spectacular scenery and attractive villages and towns as you visit any or all of the 8 distilleries (Benromach, Dallas Dhu, Glenlivet, Strathisla, Glen Grant, Cardhu) and the Cooperage along the way. 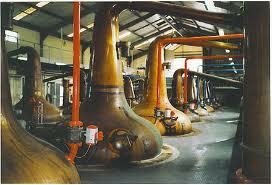 The world’s most popular single malt, and one of the most professional distilleries to visit. Benriach Distillery is not normally open to the public, but if there are 4 of you or more, you can do a Connoisseur’s Tour on a Tuesday or Thursday.